Theo-Con '18: We Are Church Together. Together? We Are Church Together. Together? Rev. Dr. Michelle Carlson and Rev. Dr. Rick Carlson (First Lutheran, Kearney; and previously professors at The Lutheran Theological Seminary at Gettysburg/United Lutheran Seminary) and Rev. Dr. Andy Root (Luther Seminary, St. Paul, MN). Together? In Worship- How do we show up together in worship, as Children of God with different gifts, strengths, passions, challenges, abilities, etc.? To be the Body of Christ as we are called, everyone should feel welcomed and valued. For people with disabilities, this is not always true. We will explore the diverse languages of proclaiming the Gospel that can come from interaction with persons who are deaf, blind, mentally and physically challenged. This workshop will look at worship as an avenue to build fuller, more inclusive and vibrant community so that we might be the Church for the sake of the world. Together? In Mission- How have we responded to division in the past? What adaptations have we made? What structures and practices have proven critical in drawing people together? Which ones are working now, or hold promise? Together? Inside- What are the challenges to us being together with God, in significant relationships, without our soul and psyche, physically, emotionally? Join Rich Sheridan and Anna Terman-White as we consider things that enhance our relationships with self, God, and others and things that hinder these relationships. We will share an overview of concepts and tools from mental health care, spiritual formation, and theological reflection. Bring your thoughts and questions too. We look forward to conversation about what it means to be together inside. Even in the most together congregations there is always some conflict. This workshop will address strategies for addressing conflict in congregations. We will do this by examining the example of the early Church through an in depth study of Acts 15 and move to discussion our own congregations and strategies. Together? In Justice and Mercy- How do we show up together in living out our faith in the world, doing works of justice and mercy? What are the challenges and barriers to going about this work, grounded in our baptismal promises and vocational identities? The Nebraska Synod and its congregations are part of larger networks of connections that also wrestle with the question of “Together?” in polarizing national and international climates. This workshop will provide brief glimpses into priority highlights and concerns in those networks, and time for questions about them. Rev. Will Voss is a member of the ELCA Church Council, to which Bp. Maas is a Liaison Bishop, and Rev. 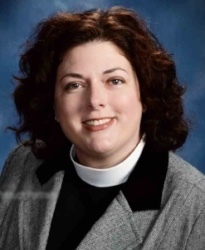 Dr. Ashley Hall is a delegate to Round XII of the official dialogue between the ELCA and the U.S. Conference of Catholic Bishops, and has been engaged internationally in efforts of the Lutheran World Federation. Together? In Welcome- How do we show up together, welcoming one another? How might this look in a congregation working through tough conversations about identity, and orientation? 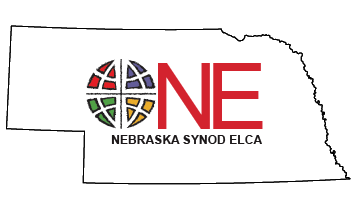 Three Nebraska Synod pastors will lead this workshop, by sharing stories about their different congregations and contexts (one rural, one suburban, and one urban) and their experiences in working to become Reconciling in Christ (RIC) congregations. Together? In Raising Up Leaders- How do we notice and uplift those with gifts in our faith communities to consider and discern that God might be calling them to leadership in God’s church? How do we engage and share in worship as the Body of Christ, digitally and online? Members of the Nebraska Synod Outreach Table have invited four Nebraska Synod panelists to share best practices. We will primarily focus on live-streaming as a tool to share the Gospel. This workshop is highly interactive with opportunity to share what’s worked for you as well as to ask questions. Five of these workshops will be offered during the workshop period on Monday afternoon, and the other five will be offered during the workshop period on Tuesday afternoon. 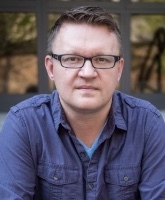 Dr. Andrew Root is the Carrie Olson Baalson Professor of Youth and Family Ministry at Luther Seminary, USA. He writes and researches in areas of theology and youth ministry. His most recent books are The Grace of Dogs (Convergent, 2017), Faith Formation in a Secular Age (Baker, 2017), and Exploding Stars, Dead Dinosaurs, and Zombies: Youth Ministry in the Age of Science(Fortress Press, 2018). Rick Carlson (Ph.D., Union Theological Seminary; Richmond, VA) is one of the co-pastors at First Lutheran Church in Kearney, NE. Previously, he served as Professor of New Testament for 27 years, as well as Director of Internship and Post-Internship Candidacy at the Lutheran Theological Seminary at Gettysburg. Dr. Carlson also served two calls in congregations prior to his work at the seminary in Roseau and Moorhead, Minnesota. Dr. Carlson is called to serve God’s gospel mission as embodied in Jesus Christ. His passion is to be the Spirit’s conduit so that people can experience the fullness of God’s grace through Word and Sacrament, and to be empowered to live out their baptismal vocation in daily life. Michelle Holley Carlson (Ph.D., Garrett Evangelical Theological Seminary; Evanston, IL) is one of the co-pastors at First Lutheran Church in Kearney, NE. She served a solo pastorate from 2008-2017 in the Delaware-Maryland Synod. 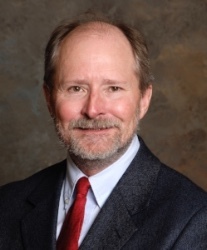 Dr. Carlson was also the Director of Lifelong Learning and Certificate programs as well as Visiting Professor of Christian Education at the Lutheran Theological Seminary at Gettysburg. She is a trained Healthy Congregations Facilitator. Dr. Carlson’s passion is getting people excited about the Gospel through Word and Sacrament while simultaneously equipping others to join in ministry, be they rostered or lay ministers. Registration ends Tuesday, October 16. Last Day to Register for the special group rate at the Cornhusker Marriott Hotel is 10/8. Ask for the 2018 Nebraska Synod Theological Conference rate of $109/night.